Chandler, Arizona to/from Phoenix Sky Harbor International Airport (PHX). Great Flat Rates! More often than not, our town car flat rate fares to and from Chandler and the Phoenix Airport (PHX) are less than taxis charge for the same service. So, why travel in a taxi when you can travel to the airport in style and comfort in any one of our luxury vehicles. >> VIEW OUR RATES. A Luxurious Vehicle Fleet. Whether you are a single executive, traveling couple or a large group, Roadrunner has the right vehicle for you. Depending on the amount of passengers, Roadrunner Limousine’s fleet includes town cars, limousines, SUV’s, passenger vans and even 30+ passenger coaches. All our vehicles are clean, comfortable, private late model luxury vehicles equipped with GPS Navigation systems. 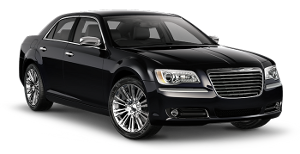 So, why take a bumpy taxi from Chandler to PHX when a luxury vehicle is available at Roadrunner Limousine? Roadrunner Limousine, serving Chandler and Phoenix, Arizona, provides exceptional service for its executive clients. Our executive guests expect reliable, convenient and comfortable transportation to or from Chandler and the Phoenix Sky Harbor International Airport. As important as it is to provide our executive passenger with optimum service, working effectively with their executive assistants and travel coordinators makes everyone’s job easier. For them, we have a state-of-the-art online booking and account monitoring system accompanied by a highly trained staff to help develop and execute the most sophisticated travel plans that any busy executive or corporate group might need. First Time Coming to Chandler, Arizona – Did You Know? In 1891, Dr. Alexander John Chandler, the first veterinary surgeon for the territory of Arizona, bought 80 acres of land from the federal government south of Mesa in the Salt River Valley. Dr. Chandler studied the relatively new science of irrigation engineering and was instrumental in building an early system of canals in what was then an arid desert. By the turn of the century, Dr. Chandler owned an 18,000 acre ranch. The charter of the Salt River Project provided that each landowner could obtain enough water to irrigate only 160 acres. Dr. Chandler sought the help of planners and architects in subdividing his ranch and drawing up a townsite map. He then advertised nationally the sale of Chandler Ranch sites. On May 17, 1912, Dr. Chandler opened the townsite office. Excursion trains on the newly completed Arizona Eastern Railroad brought 300 speculators who spent $50,000 for land that day. The town then consisted of three wooden shacks — the townsite office, a dining hall and the Morrison Grocery. There was also a billboard marking the site of the elegant future Hotel San Marcos. Dr. Chandler had an ambitious plan that was well ahead of his time. He envisioned a landscaped central park that would be surrounded by businesses. The walkways in front of the buildings would be covered by a trellis-like roof, supported by colonnades. Deed restrictions required land owners to build on their land within one year. Historic Downtown ChandlerOne year after the first land sale, Chandler was beginning to look like an established town. Businesses had been built along the west and south side of the park, including the Bank of Chandler and the Eastern Railroad depot. Graded dirt roads encircled the park, and there were wagons, carts and Model T Fords busily moving about the town. The park was covered by grass, with newly planted trees, and was divided into a north and south side by the Commonwealth Canal. But agriculture was still the big business in Chandler at the time. Cotton, grains and alfalfa were the primary crops. Farmers also raised cattle, sheep and, yes, ostriches. Ostrich feathers were used to adorn popular women’s fashions. Top quality feathers sold for as much as $250 a pound. As the years passed, cotton became the most common and profitable crop in Chandler. By the time World War I began, long-staple cotton was in demand to be used for the production of rubber tires and aircraft fabrics. During the war, the Goodyear Tire Company leased 8,000 acres south of town from the Chandler Improvement Company and built the town of Goodyear. By the late 1930s, Chandler was experiencing some problems spurred by growth and technology. Drivers of the new faster cars sometimes didn’t realize that Arizona Avenue then ended at the town plaza. Cars often jumped the curb and drove right into the park. And the large diesel trucks that made deliveries to businesses around the park had trouble navigating the narrow roads around the plaza. In 1940, the state proposed to align Route 87 down Arizona Avenue. Residents were not happy to see their beautiful park divided in half for a highway, but the town’s original design was no longer safe or practical. In 1941, the U.S. Army Air Corps announced its plans for the construction of a fighter pilot training base east of Chandler. The base began operations in October and two months later Japanese bombers attacked Pearl Harbor. It soon became common to see uniformed men in town. On August 14, 1945, Chandler residents celebrated late into the night when they received news of the end of the war. During World War II, Chandler’s population doubled and reached 3,800 by 1950 — the year Dr. Chandler passed away. On May 24, 1954, the status of Chandler was upgraded from town to City. In recent years, Chandler’s borders have been expanded and the population has boomed — from 30,000 in 1980 to more than 240,000 today. The economic base of Chandler has been diversified. While agriculture is still somewhat of a vital element, Chandler now enjoys a strong manufacturing and electronics sector. The downtown storefronts have been restored to a modern version of their original turn-of-the-century look, and the plaza has been redesigned and named after the City’s founder. The Center for the Arts, new parks, restaurants and retail centers mark an exciting future for the City. Family festivals such as the Ostrich Festival, and a host of other annual events, make Chandler a popular draw for travelers from all across the country. And the citizens of Chandler enjoy a quality of life unsurpassed in the Valley today. It certainly appears that Dr. Chandler knew what he was doing the day he dreamed of this jewel in the desert.